Click on the Live Broadcasts link to view analytics data for a live channel. You can click on Open Analytics Console to open analytics for past live broadcasts. 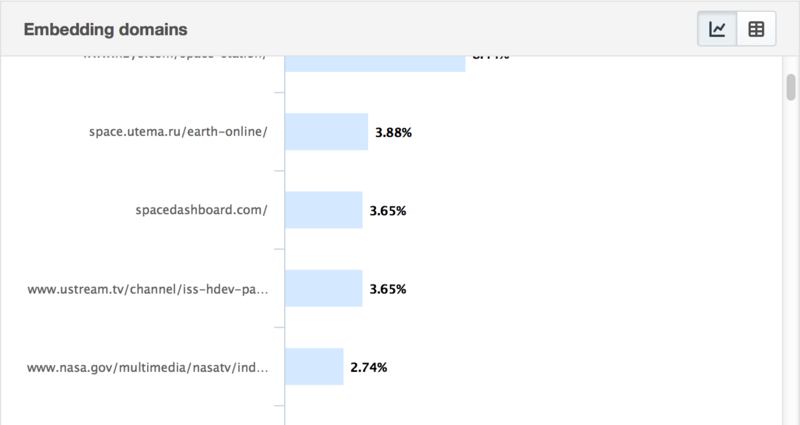 At the top of the Live broadcast analytics page, you can select between your channels to view data for. Note that any channels you choose that are currently off air will be marked as 'off air' and will not show data. You can also open up your analytics console for past broadcasts, open the selected channel directly, or download a csv file of the analytics for the currently selected channel. Below this, you will see a chart showing the number of active viewers currently viewing your stream. The next section of the console shows the geographic distribution of your viewership. You can choose between a heat map or a list using the icon toggle in the upper right. Distribution for the US is also broken down by state, which can be selected by the link toggle also in the upper right. 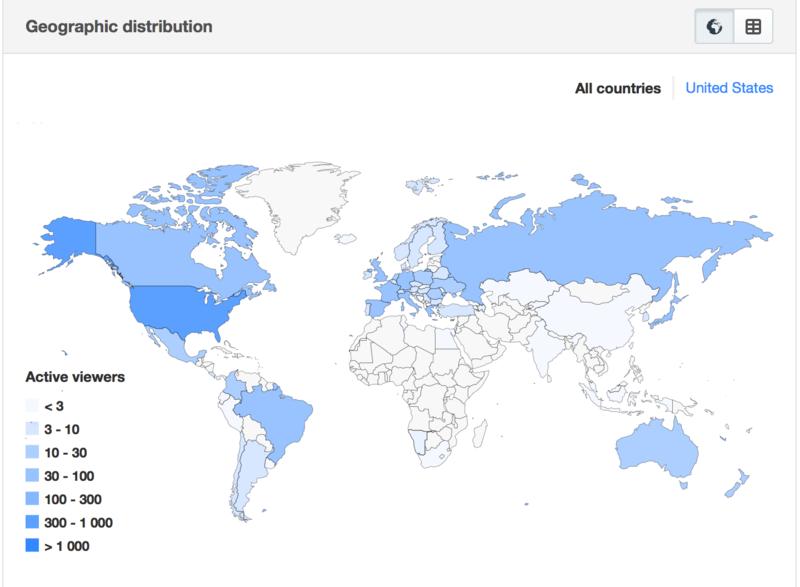 Hovering over a particular country on the map will also give you the exact number of current viewers in that country. The next section of the console shows the domains that are currently hosting an embedded version of your player. Like the geo distribution section, you can also toggle between views using the icon in the upper right. 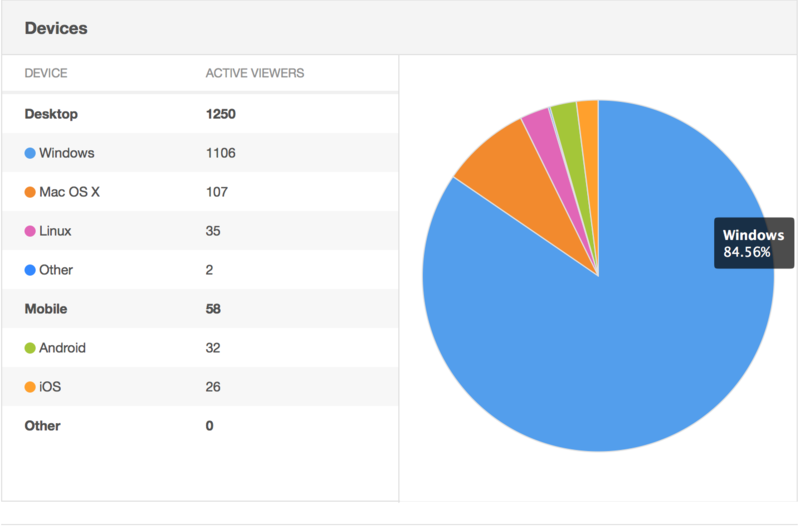 The final section of the live analytics console shows your viewer's distribution by device type. The different operating systems and devices are listed on the left hand side with a pie chart on the right.